Sequins and sparkle are all the rage right now. Seems everywhere we turn someone has added a little sparkle to their outfits. That's every reason to dust your big day with a little bit of glitter. 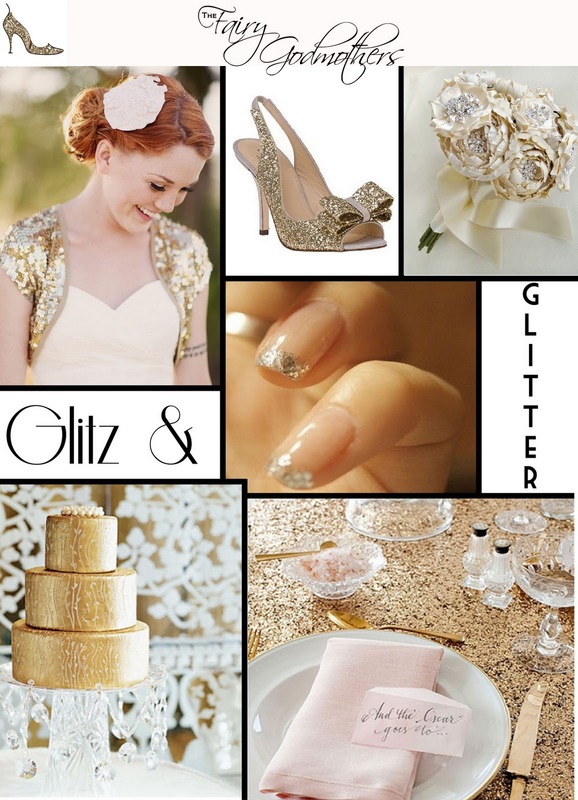 This inspiration board should convince you to have a gilded affair especially if your wedding falls in the months of December and January. This is the point where we usually tell you how to do it and what not to do, but in this case we say the more the merrier — even your wedding day manicure can show off a little bling.